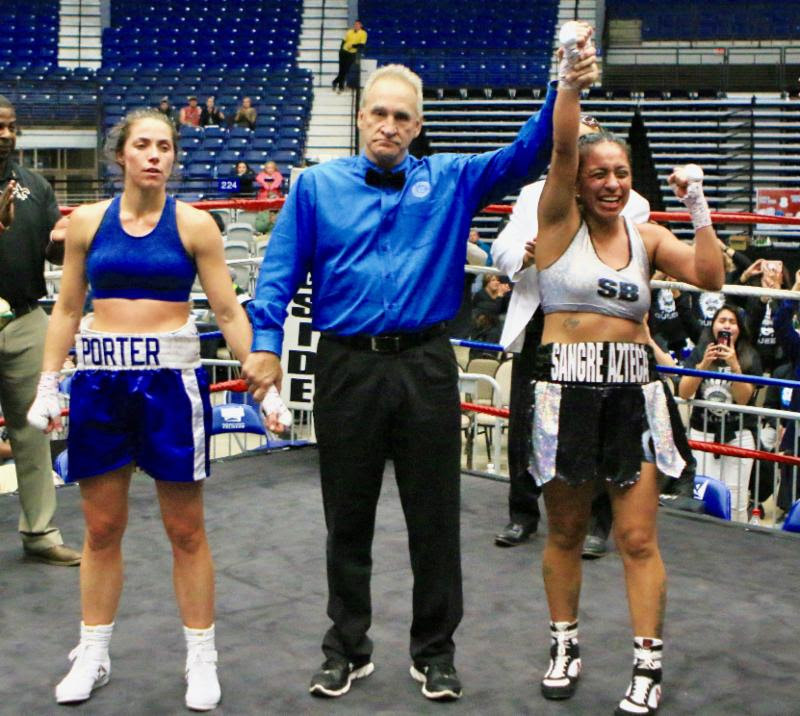 Tonight at the Rapides Parish Coliseum in Alexandria, LA, Selina “Aztec Queen” Barrios (3-0, 1 KO) remained undefeated with a majority decision victory against “Lovely” Lisa Porter (1-1-1), capturing the lightweight NABF title. From the opening bell, Barrios applied constant pressure, forcing Porter to fight going backwards. Both fighters, who were outstanding amateurs, showed their experience as adjustments were made throughout the fight. Porter used effective holding to disrupt Selina’s come forward style, but it wasn’t enough as Barrios was determined to land her power shots. Barrios made the fight uncomfortable for Porter by cutting off the ring, forcing her to fight on the inside. Porter, who likes to use lateral movement, couldn’t get into a rhythm, due to Barrios’ going right at her. Scorecards read 97-93, 96-94, and 95-95.